Volunteers bring their hands and hearts to TAM. Volunteering fosters a community of giving and ensures that TAM is able to have maximum impact. TAM is an all-volunteer organization and every volunteer makes an impact. No previous experience is needed, we will train you! Help is always needed even if you cannot commit to a regular shift. Volunteer time can be used to fulfill community service requirements for educational or civil requirements. Volunteers are welcome on Mondays and Wednesdays from 8:00AM to 12PM and on the 3rd Saturday of the month from 8:00AM to 11:00. • Must be 16 years of age or ages 13-15 with accompanying adult supervision. • Must wear closed-toe shoes (no sandals or flip flops). Monday & Wednesday, 8:00 AM till 12:30 PM and the 3rd Saturday of the month, from 8:00 until 11:00 AM. 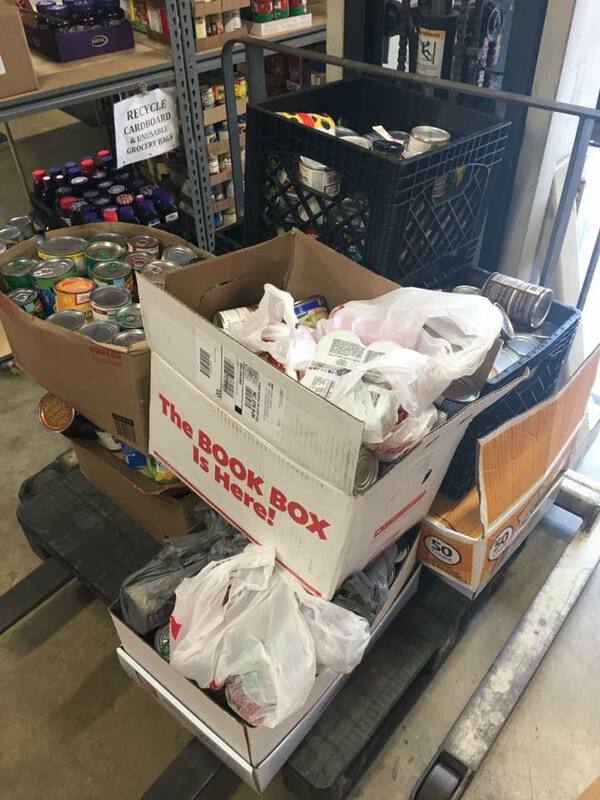 • Drive TAM vehicle to local businesses to pick up donated food. • Accompany Driver/Courier to local businesses to assist in picking up donated food. The following positions are available outside of normal open hours. • Participate at TAM events, such as Stop Hunger Feed Hope Dinner Auction. Tri-Area Ministry Food Pantry may, in its sole discretion, decline to accept and application to volunteer with or without cause. Tri-Area Ministry Food Pantry reserves the right to modify or terminate volunteer service with or without notice or cause, at any time.